Another UK government corruption story? Alleged corruption among public officials, an investigation, pressure on the government of the day and ultimately the collapse of the government? News International is not the only corruption story involving the UK government. For a bit of variety to the daily diet of phone hacking and police bribery allegations we’ve decided to give the other story a mention. With some controversy yesterday a new constitution for the Turks & Caicos was laid before parliament. 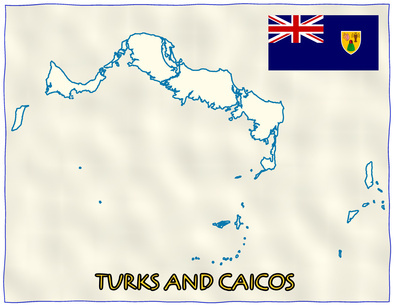 Last week Transparency International published a report on the Turks & Caicos with suggestions for a corruption free future. In 2009 the UK government seized control of the islands following allegations of widespread corruption in the islands elected government. The Transparency International report follows a 2009 UK government report “Possible Corruption or Other Serious Dishonesty in Recent Years of Past and Present Elected Members of the Legislature” on alleged widespread corruption in the local government of Turks & Caicos. London barrister Helen Garlick, who leads the Special Investigation and Prosecution Team (SIPT) appointed to investigate the alleged corruption said last year that these investigations typically take about 18 months. That would put the conclusion of the investigation and charging defendants in the Autumn with a view to forthcoming prosecutions. The investigation has so far resulted in a number of arrests and ongoing work in relation to the civil recovery of assets. What happens next? We expect some high profile prosecutions. However, with international corruption notoriously hard to prove and with individual defendants who will no doubt mount strong defences we don’t expect the Crown’s case will be a walk in the park…or even in paradise.